The sheriff has sided with Robert Westlake in the fatal shooting of Jason Boek. The Florida Uber driver who fatally shot an irate man who tailgated him and threatened to shoot him in a perceived "stand your ground" case of mistaken identity wished "the whole chain of events didn't happen," he said in an exclusive interview. "For a second, you kind of hope you missed and, obviously, that's not what happened," Robert Westlake, 39, told ABC Tampa affiliate WFTS-TV Thursday. The Polk County sheriff Wednesday ruled the shooting of Jason Boek "a justifiable homicide." Westlake was driving Uber passenger Jasmine Meazel home from a bar in Dundee, Florida, around 2:20 a.m. Tuesday when he encountered Boek, 34, of Winter Haven on a dark road, according to Polk County authorities. Boek had left the bar and was fighting with "on-again, off-again" girlfriend Jessica Mazzarella via text messages, according to police. 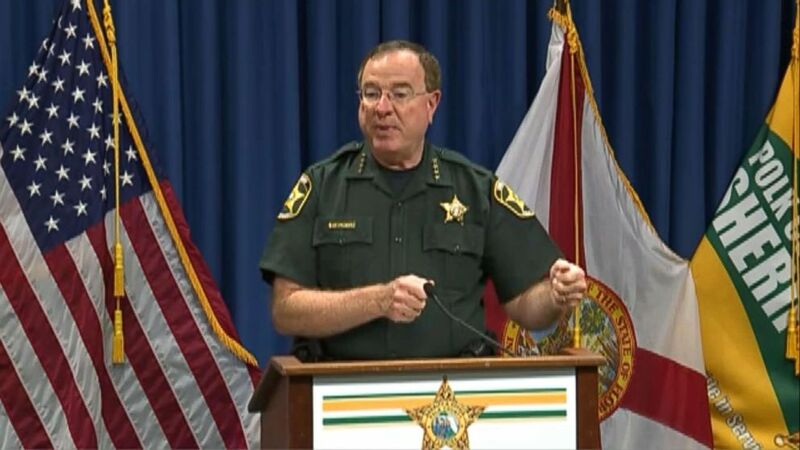 (WFTS) Polk County Sheriff Grady Judd speaks during a press conference, Aug. 29, 2018, in Winter Haven, Fla. Text messages released by police Wednesday showed that Boek had been outside the bar the entire time and thought Mazzarella, not Meazel, was riding in Westlake's vehicle. He also appeared to suggest he would do the passenger and the Uber driver harm, as indicated in the messages. "You know I'm watching every move right now," Boek said in the text messages. "I've been watching you the whole time. ... I see y'all. ... I'm going to f--- both of y'all up." 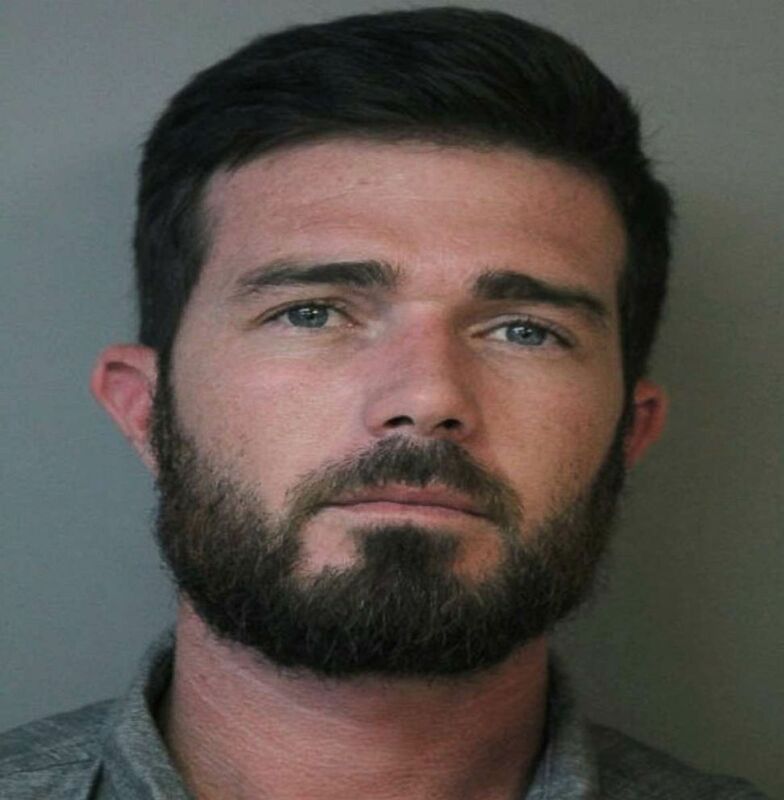 Boek drove his truck alongside Westlake for a couple seconds early that morning before finally pulling his vehicle in front of the Uber driver and hitting the brakes, police said. 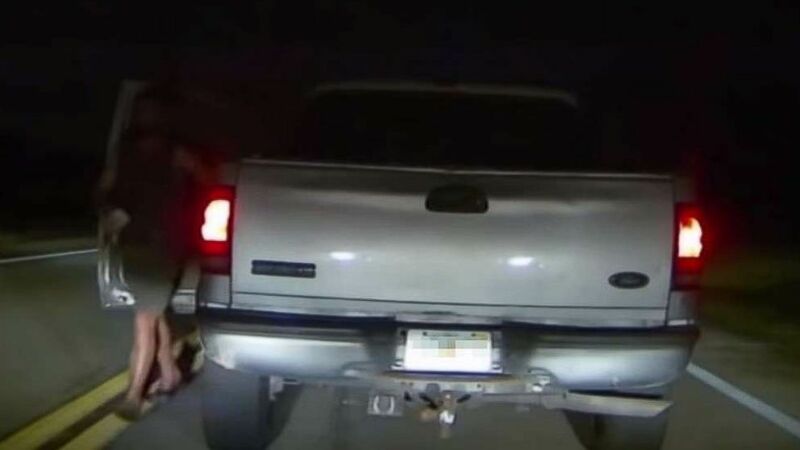 Westlake's dashcam video showed Boek’s getting out of his truck with something dark in his right hand. Boek could been seen pointing the object toward Westlake's vehicle. Westlake asks in dashcam video: "I say somethin'?" (Polk County Sheriff's Office) Jason Boek in an undated photo. Boek responds, "You know I got a pistol? You want me to f------ shoot you?" Westlake, a concealed weapon permit holder and a former security guard in Orlando, took out a gun and shot Boek once in the chest, according to police. As Boek approached, Westlake was thinking, "I'm not getting shot,” he said Thursday. "When someone comes at you like that, you don't really have much more time to think," he told WFTS. "He took two more steps and that sealed it in my mind that I got to [shoot]." Westlake immediately called the police and started to perform CPR on Boek but he eventually died. Meazel, who was under the influence of alcohol at the time, had no idea what had happened, according to police. (Polk County Sheriff's Office) Jason Boek was shot dead by Uber driver Robert Westlake early Tuesday morning after police said he stopped his truck in front of the Uber and allegedly said he had a pistol. Westlake, who finished recently finished at the police academy, is the father of a boy and two girls with a baby on the way. He celebrated his birthday Thursday but said the moment was bittersweet. "Everyone tells you that what you did was right but you feel like, 'Did I have to?' after the fact," he said. "Everything I do right now, I'm constantly being reminded this other person doesn't get to do this so it's hard." In a news release, police said Boek was on felony probation for battery, which started in June 2016, and his driver's license had been suspended. "Here's a message for the hotheads of the community: Don't do that stuff," Judd said Wednesday. "Good people carry guns. And they will shoot you a lot. Graveyard dead. Leave people alone. It's a new day in the state of Florida and the United States." The investigation is ongoing but police said Westlake was cooperating. The state attorney's office said it would be conducting a review of the Polk County Sheriff's Office investigation, which is standard procedure. ABC News' Rachel Katz, Stephanie Fuerte and Doug Lantz contributed to this reporting.